What Fresh Hell Is This Elon Musk Harambe SoundCloud Trash? Elon Musk, the guy who made renewable energy douchey, wants to ruin music for everyone as well. But because I love you and want you to be happy, I listened to his SoundCloud song “RIP Harambe” so you don’t have to. Musk tweeted a link to his fictitious Emo G (Get it! Clever!) Records Soundcloud page and the single on Saturday, saying the song “might be his finest work.” I don’t know what’s worse, Elon Musk making jokes or Elon Musk attempting to mimic the flashcard they told him means sadness. Anyway, here are some lyrics: “All y’all gorillas, we love you,” “RIP Harambe, sippin’ on some Bombay.” Truly, that’s all you need to understand this news item. Please don’t click on this. For those who may have forgotten, Harambe was the gorilla killed at the Cincinnati Zoo in 2016 after a child fell into his enclosure. 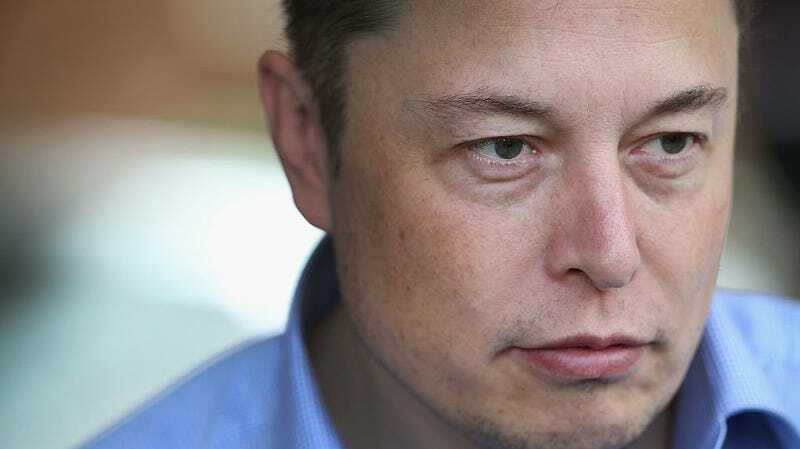 For those who do not know of Elon Musk, the man who called rescuers of children pedophiles, or Soundcloud, the website where humans stored their terrible music just before the end of days, close the internet and go outside, you’re in the good place, and there’s no saving the rest of us.